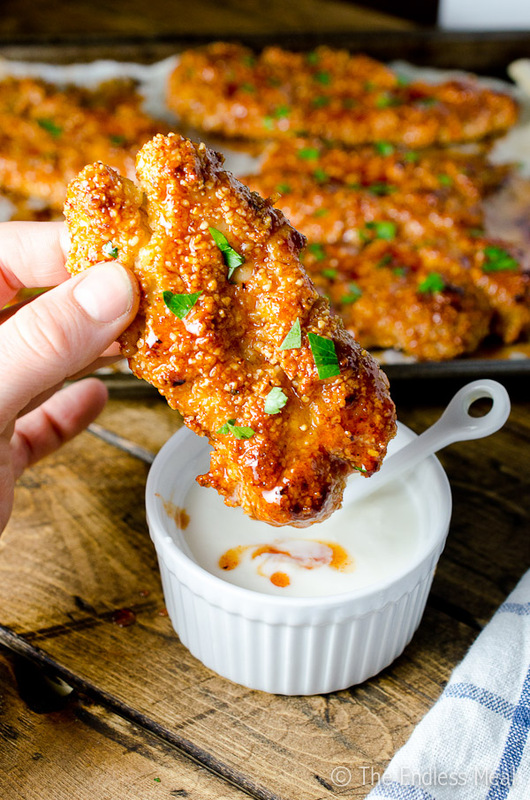 In the off chance that you can't tell by the picture, I'll say it here, “these sweet and spicy paleo chicken fingers are amazing.” Wait … paleo? Yep, you heard right. The chicken is coated in an almond meal (aka almond flour) crust that is both 100% paleo and gluten-free. After a bake in the oven, it's dunked in a deliciously sticky sweet and spicy sauce. If you forget about your knife and fork, you'll be licking the sauce off your digits for sure. One thing you'll notice is, because of the almond meal the chicken is VERY filling. The first time I made this I was super starving and thought that the recipe would only serve 2, at most. Even with the best of intentions my handsome man and I could barely finish half this recipe. I should warn you that it is not quite as crispy as it would be if it were coated in panko or breadcrumbs. Maybe that seems obvious to you, but I had my fingers crossed that it would be. 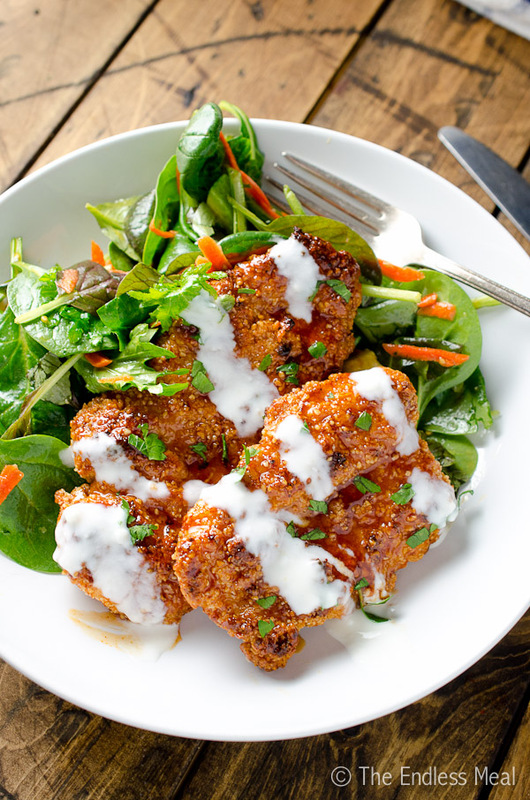 The almond meal does give the chicken a nice coating that adds extra flavor and helps all the delicious sauce to cling better. These guys have become a family favorite for us. We've made them many times over the past few years and never seem to tire of them. Our little girl loves them as much as we do. I think the best part about them is that they taste like something that shouldn't be healthy. They're like your favorite deep-fried Honey Garlic Chicken Wings or breaded chicken nuggets dipped in a sweet sauce. But these chicken fingers are neither of those things. These babies are HEALTHY. It's crazy, I know. It does my head in each time we eat them. While these chicken tenders are delicious all on their own, they're also delicious dipped in a little paleo ranch dressing. If you include a little dairy in your diet, some plain yogurt (is there really any other kind?) or sour cream on the side for dipping is nice, too. 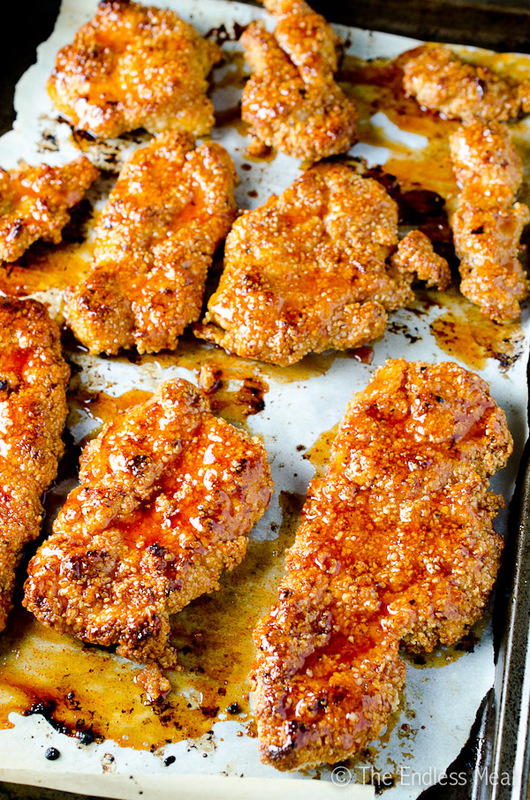 Update: since first making this Sweet and Spicy Paleo Chicken Fingers recipe, I've played around with other versions. 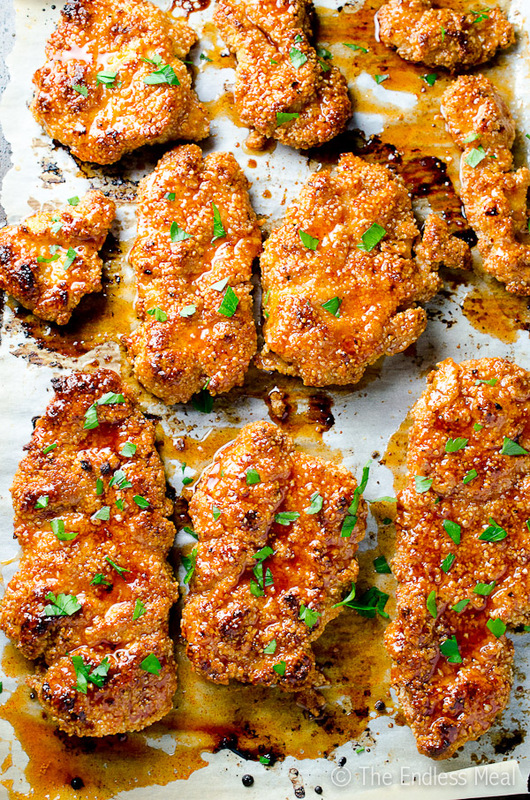 This Paleo Honey Garlic Chicken Fingers recipe is amazing, too! ♡ Pour some tapioca starch into a bowl, whip some eggs, and season some almond flour. Dip the chicken fingers from one bowl to the next. Set them aside and go relax. ♡ Pour the sauce over the chicken and put it back in the oven for a few minutes to caramelize the sauce. ♡ Dig in and watch the smiles spread across everyone's faces! How to prevent the crust from falling off? Start with the best quality chicken you can afford. Cheap chicken is typically pumped full of water, making it look like it's better value than a smaller piece of chicken. The problem with this is that when the chicken cooks the water is released, and it pushes the crust off. Don't be fooled! Let the chicken sit for 30-60 minutes after you coat it in the almond flour; this helps to bind the crust together so that it sticks to the chicken. Make sure to shake any excess egg off the chicken before dipping it into the almond flour. You need some moisture to help it stick, but not so much that it causes the breading to fall off. PS. If you're looking for some more deliciously paleo inspiration, make sure to check out the Paleo Recipe Category. While I'm not strictly paleo myself, I eat a grain-free, bean-free, sugar-free diet about 90% of the time and totally love it! What to serve with baked paleo chicken tenders? 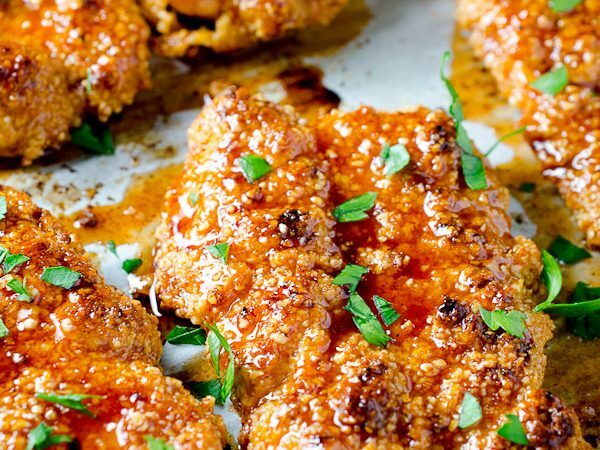 These paleo chicken fingers are sticky and sweet with just the right amount of spice. They're quick and easy to make, and your whole family will love them! *STEP CHANGE*: Dip the chicken tenders, one at a time, into the tapioca or potato starch, then into the egg then into the almond flour. (Keeping one hand for the egg and one for the starch and flour makes this a lot less messy.) Lay the chicken tenders on the prepared baking sheet. Bake the chicken for 25 minutes, or until it is crispy and beginning to golden brown. *OPTIONAL STEP*: Let the chicken rest for 30-60 minutes in your fridge before you bake it. This step will help the crust to stick to the chicken. I cannot use almond flour./meal. What would a substitute be? Tapioca starch makes a crispy substitute. I’ve used it on these sesame orange chicken thighs! This is a recipe that we ALWAYS come back to. I came across the recipe while looking for paleo meals due to a recent health diagnosis. They are just as delicious as normal chicken fingers and even better! We have cooked the chicken both with and without putting it in the fridge first. I do think this step makes a big difference in getting the breading to stay on. We also double the sauce recipe because you can never have too much sauce! That’s right! Both potato starch and tapioca starch both work. 🙂 Cornstarch would work too if you’re not paleo. I haven’t tried leaving it longer but I suspect it would work just fine! I made this the other night for my paleo boyfriend and we haven’t stopped talking about it. People in his office have been asking for the recipe because he’s been raving about it. I just ate the last piece for lunch and it was even better left over! I served it just like you suggested, with the arugula. I added cherry tomatoes. I made a dressing out of 2 tbs of the sauce and 1 tbs unflavored paleo yogurt (but regular would be fine too if you eat dairy). I truly can’t say enough good things! I used arrowroot as the base and coconut flower as the crust and let it rest as you suggested. Also I did the shake n bake method and I also salted the chicken and let it rest in the fridge before coating. All these things made it truly just as crunchy as a real chicken tender and I didn’t lose any breading, even with the leftovers. I’m literally craving them now! I had a question about the nutritional content. It says serves 6. Does that mean your recipe of 1 pound of chicken tenders is meant to serve 6? Because it served just my boyfriend and I (it made 7 tenders, he ate 4, I ate two and had one leftover). There’s no way it would’ve served 6. Is it 491 calories for 1 pound of chicken divided by 6? Did we eat each like 1500 calories? Lol! Please let me know because if it’s 491 for real for each of us we will be eating this every night! I’m so happy to hear you and your boyfriend like the recipe! Hooray! I’m not really sure what’s going on with the nutritional information. It’s now reading 299 calories per person, which seems accurate when I double checked it. I normally serve these with a big salad and sometimes some sweet potato fries on the side so they go a little further. Amyway, don’t worry, you didn’t eat 1500 calories each! i’ve made these once before and it was fantastic. Also i’m making these for my weekly meal prep exchange, what sides would you suggest I serve with these?. And do you think freezing these after coating would help the almond flour stick better? i had leftovers last time and they froze very well cooked. just wondering about raw. I’m so happy to hear you liked the recipe! 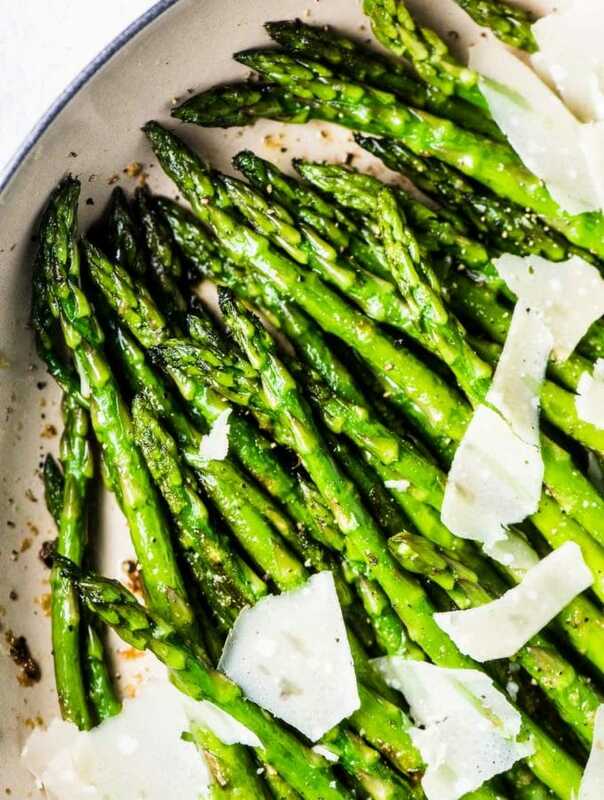 My favorite is keeping dinner simple and serving these with a big green salad – arugula is my fav. I find the chicken is filling enough that I don’t need a starchy side to fill me up. As far as the freezing goes, I haven’t tried freezing them raw so I can’t say for sure. If you try it I’d love to hear if it works! Hi! THese sound amazing! I would like to make these for a dinner party- ..any complete meal ideas? Salad for sure- dessert? I’m 90/10 paleo- I do eat dairy. Thank you!! I truly can’t say enough good things about this recipe! Tonight was our second time making the chicken tenders and they were even better than the first time! This time we ensured to shake off the excess egg and let the tenders rest in the fridge for an hour which really helped the breading stay together! Thank you so much! This is a forever staple in our home now! These were ah-maaaazing! Is there nutrient nfo anywhere? I can’t seem to find it, even though I bought I saw it yesterday..
Hello! What would you consider an average serving for that calorie counts – like 4 tenders? This chicken is ridiculous in the best way possible. I thought it might be too spicy but it’s the perfect balance. Will be making this often! Haha what a great compliment! I’m so happy you liked it! I’ve made these three times in the last few weeks and I know we’ll make them plenty more. Thank you for a healthy recipe my kids will actually eat! Yay! It makes me so happy to hear the recipe is a hit! This is the best chicken recipe ever. My kids go absolutely crazy for it! I’m so happy you and your kids like the recipe as much as we do!! Question about the honey, do you use the honey you squeeze from a bottle or raw honey from a jar? Just made it for dinner and we all loved it.. Will definitely be making this again? I’m so happy to hear you like this recipe! Hooray!! My husband is gluten free (sensitive) and so is my daughter, but we love all the tasty foods we grew up with. 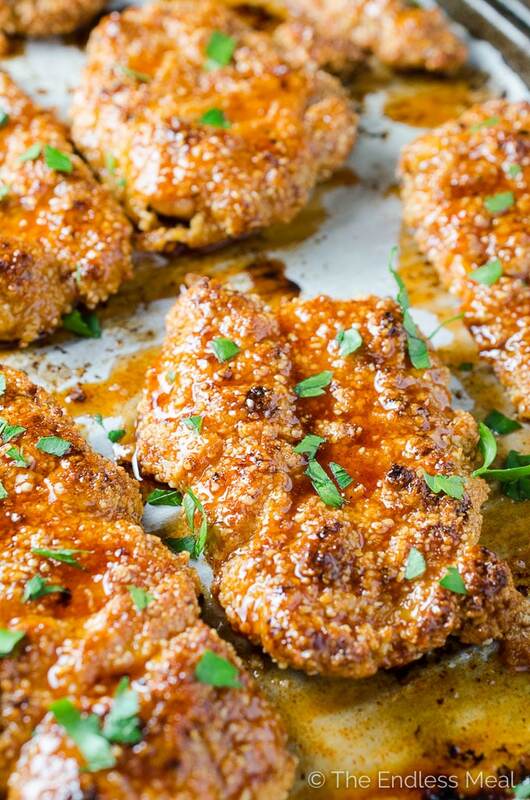 I’m always on the look out for a recipe like this where my family can enjoy their favorite sour and spicy chicken without the use of gluten items. Not all recipes I try come out successful, and I (and my family) was so thrilled when this came out just the way I imagine and better! This has been my go-to recipe for a game night and has been used multiple times since the discovery! Since the readers of my blog are also paleo and gluten-free, I shared your chicken recipe with them (here: http://fitwirr.com/health/tips/paleo-recipes) in hope that they’ll find it useful and love it just as much as me. Just wanted to say thank you, and look forward to more of your awesome recipes! I’m so happy to hear you and your family like the recipe! And thank you so much for sharing the link with your followers. You are a rockstar! 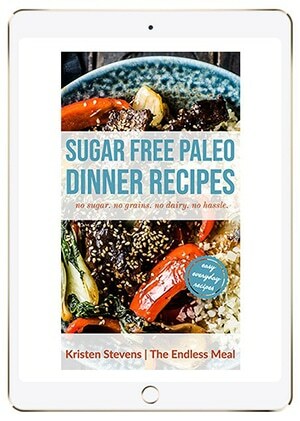 This is by far my favorite Paleo recipe I’ve found!! The sauce is to die for and addicting! Thank you for sharing! Thank you so much! I’m so happy you like it!! Is there a way to do this without the tapioca flour step? My Son cant have any type of starch at all. Also, would this be possible to do in a deep fryer, or would the breading just fall off? You can leave out the tapioca and the recipe will still work, although it may not stick as well to the chicken. Although I’ve never tried deep frying these, I have a feeling the breading would fall off. Maybe start with just one small piece and see how it goes. You can always bake them if the deep fryer doesn’t work! I NEVER comment on recipes, but OMG this was amazing!! Thank you for this recipe… I may be making this weekly from now on! I used the shake n’ bake bag method than another commenter described and arrowroot as a base instead of the tapioca and it was perfect. Hooray! You just made my day. I’m so happy you liked the recipe!! Thank you so much, Mel! Your comment just made my day! And great tip about shaking it in a bag … I’m doing that next time! My breaking is falling off:( what am I doing wrong? Did you follow the directions exactly? I recommend salting the chicken both sides and let rest at least 30 minutes between plastic wrap. Then pat the chicken dry with paper towels and proceed. The salt will draw out the excess water, this works for any chicken recipe where crispy crunchy coating is desired. Hello from Texas! I made these chicken fingers tonight and they were delicious! It was my first ever Paleo recipe. My husband is a very picky eater and loved them, too. Thanks for taking the time to create and share your recipe! It’s in my meal rotation now. You’re so welcome! I’m so happy to hear that both you and your husband loved them!! Oh my gosh! I’m obsessed with these. These will be a staple in my house for sure. I followed all of the optional steps and they turned out perfect. 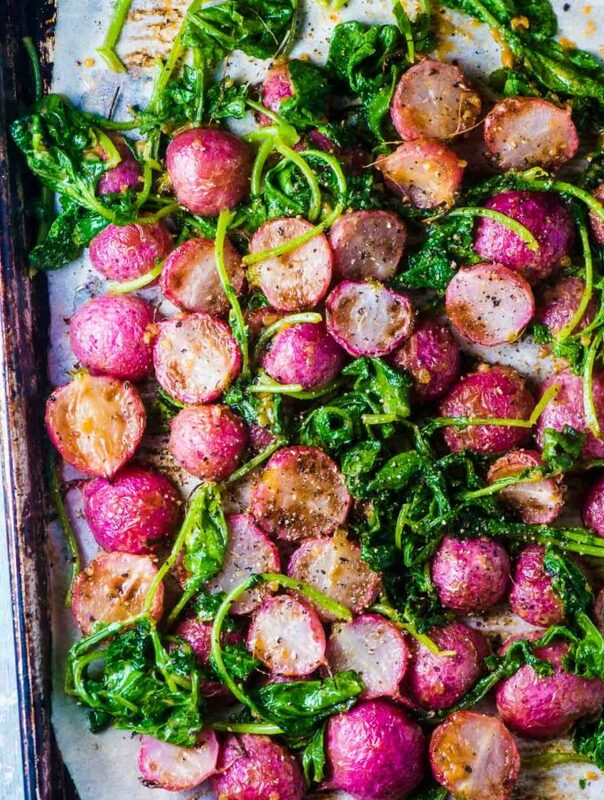 The broiling at the end is key! We’re pretty obsessed with them here, too! So happy you like them!! Just made this for my fiancé and I this evening and holy moly!!!! Super DELICIOUS! Thank you for posting this easy and scrumptious recipe. Thanks for making the recipe and for the feedback. I love this one, too! I used coconut flour for the crust and arrowroot flour for the base and did not have the issues with the crust falling off like I did when I followed your directions for the almond flour. Just a tip! That’s awesome! Thank you for the feedback! !